Switch géré dans le cloud avec 24 ports Gigabit PoE + et 2 ports uplink SFP + avec un support de 10 Gbps, un budget PoE de 410W et de multiples options de montage. 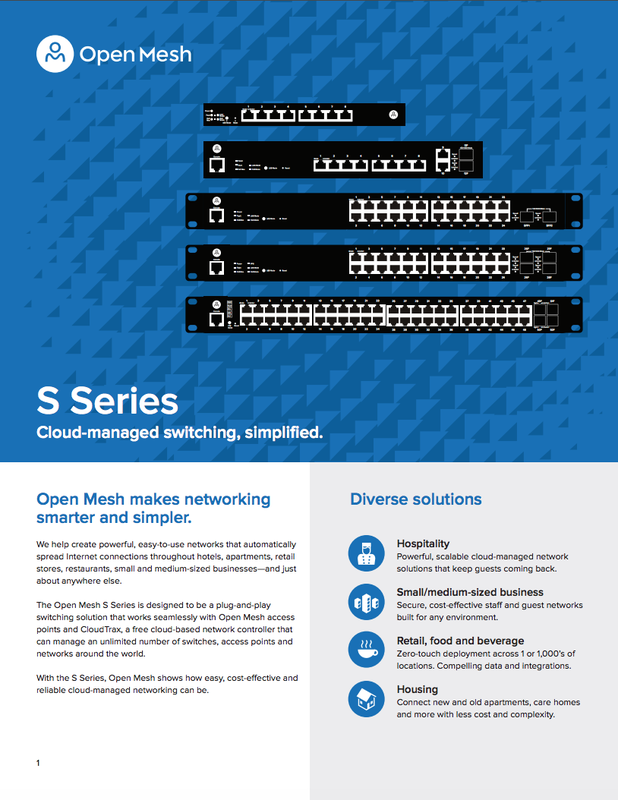 The S24 Switch is designed to integrate seamlessly with CloudTrax and Open Mesh access points. All switches include a free license for CloudTrax, Open Mesh’s cloud-based network controller. Easily build, manage and monitor your network from anywhere.